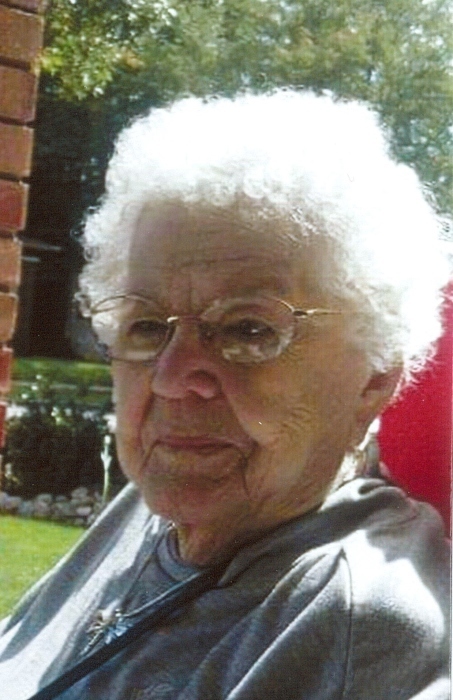 Norma L. Stemm, age 94, of Elkhart passed away on Sunday January 27, 2019 at Riverside Village Nursing Home. She was born on June 27, 1924 in Elkhart to Elmer and Frances (Kemp) Anderson. She married Luther F. Stemm on January 10, 1942 in Elkhart, he preceded her in death on February 7, 1996. Norma is survived by her son Luther “Luke” (Cindy Williams) Stemm Jr, of Elkhart, her daughter; Gayle Shinos of Sheshegwaning Reservation, Mantoulin Island, Canada, her grandchildren; Rick, Lisa, Melinda, JoAnna, Joe Pete and Megan, as well as thirteen great-grandchildren, and several great-great-grandchildren and her brother Robert Anderson of Nappanee. She was preceded in death by her parents, her daughter; Verna Stemm, her sisters; Verna Lindgren, Betty Whittle and Ruthie McCreary, her brother; Rodney Anderson and her granddaughter Jennifer.